This is another Yule Log.com exclusive: I have announced the complete list of the upcoming 2018 Real Gone Music Christmas CD releases and their corresponding street (release) dates in my "Chip's Tips" Edition #18: Click Here. I would just like to thank you for your tireless dedication to try to secure so many of these classic Christmas albums from the Golden Age of Christmas. I know from some of the research I have done over the years that the big three labels (Sony, Universal and Warner Brothers) can be very difficult to obtain copyrights on any of their historic catalogue material that has been laying waste in their vaults for so many years and through your constant prodding and yearly dedication, we in the Christmas world get to enjoy the benefits of your hard labor on so many occasions. When I think we might have never seen the great "Music Of Christmas" by Percy Faith or his almost equally great second holiday album, "Hallelujah," without your tremendous efforts over the years, I get a chill down my back. We also got them in glorious fashion with spectacular remastering from some of the finest engineers in the world. We also got magnificent albums from Mantovani and Frand DeVol, John Gary and Jack Jones, Ray Conniff and all those great Living Strings and Living Voices albums. Too many to even start to list, so let me just say thank you once again from all of us who worship this iconic music from so many years ago. I think some of it might have just gotten lost or slowly damaged over time from sheer neglect without your great effort to bring this great music back for future generations. Well, this list may be short, but what do they say, "Great things come in little packages." 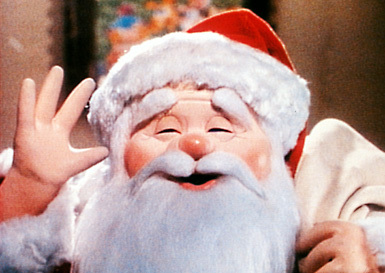 and this list may be short indeed, but it is loaded with some very historic and iconic Christmas music. 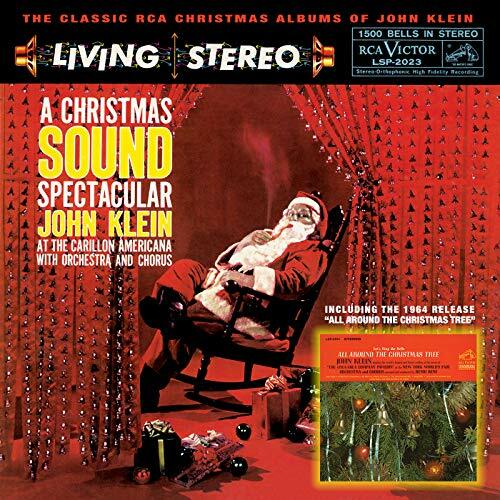 John Klein's "A Christmas Sound Spectacular" in its original Living Stereo incarnation is one of the most sought after vinly Christmas records of the 1950's. I had the honor, largely with your effort, Sir, of contributing the liner notes to this twofer CD collection that also includes his very fine second holiday album, "Let's Ring the Bells ALL AROUND THE CHRISTMAS TREE." 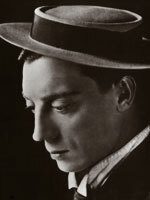 The first John Klein album, "A Christmas Sound Spectacualr" was featured in Time Magazine and had a huge and unprecedentaed marketing push by the RCA Victor record label. This album not only featured a beautiful Billy May like orchestra, but also the 1500 bells of the Carillon Americana, which at the time was the largest of its kind in the world. I just had the distinct honor of listening to an advanced copy of the new digital remaster of the stereo versions of both of Mr. Klein's Christmas albums, done under the supervision and expertise of Mr. Mike Piacentini, one of the brilliant engineers at Sony Battery Studios in New York and it complerely took my breath away. This stereo version of Mr. Klein's first holiday album has never been available before on CD as you well know Chip, and his second Christmas album has never been available on CD in any form, so thank you Mr. Arcuri for making this happen for all of us who love those beautiful orchestral instrumental albums with all their bells and whistles so to speak. Well, what about those magnificent vocals and harmonies of the McGuire Sisters with their highly prized Christmas release, "Greetings From The McGuire Sisters", another highly sought collector's album from the Golden Age of Christmas? I am really looking forward to this magnificent CD release as well, since these ladies could really sing! Andre Kostelanetz had one of the most whimsical and delighful orchestral albums ever in "Wonderland Of Christmas", with one of the most specatacular instrumental versions of Sleigh Ride you have ever heard in your life. He had two other glorious albums that I assume will round out this fantstic collection as well. Wow! 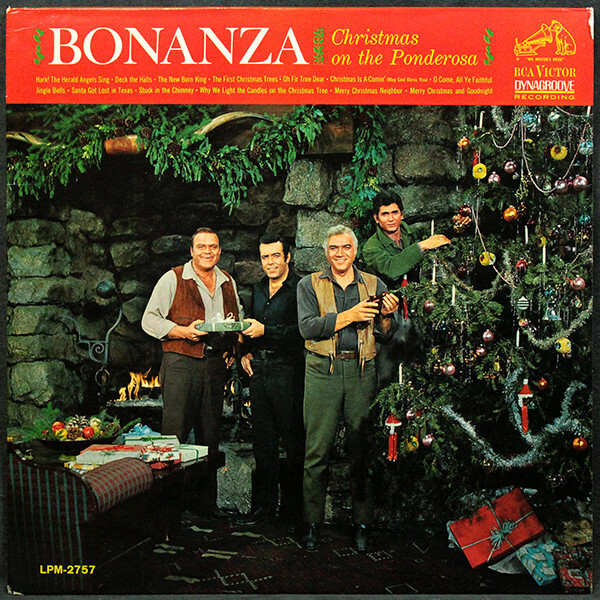 "Christmas At The Ponderosa" with Lorne Greene is a camp classic and a kick in the pants as well, and I see it is joined with his solo follow-up Christmas album too for good measure. Chip, I again cannot thank you enough for all you have done over these many years to get so many of these iconic Christmas albums back into circulation. You have brought so much joy and laughter to my household around Christmas time with these magnificent holiday masterpieces. Please keep up the good fight with the big labels, Sir, as you are an inspiration and appreciated I know the world over! Thanks for that kind post, Steve. Aloha Chip! Is there a track listing for the Andre as yet or do you know what albums may be incorporated into the set? Thanks and have a safe and relaxing Labor Day weekend! Thanks for the update, Chip! As disappointed as I am that the Jim Reeves release is delayed for the second year in a row, I'm thrilled that the John Klein twofer still has the green light! That's my most anticipated album reissue for Christmas 2018! The announcement of the Andre Kostelanetz 2-CD set is news to me and I couldn't be happier about that as his Wonderland Of Christmas contains my absolute favorite recording of "Sleigh Ride" ever! I have the officially licensed CD-R, print on demand, reissue from ArkivMusic. However, to own this album on a factory pressed CD is a dream come true! I'm completely unfamiliar with the McGuire Sisters' Christmas LP and so I'm looking forward to discovering that one for the first time. I quickly Googled the jacket art and swooned. It screams "Golden Age of Christmas LPs" like the best of the vintage album covers do! Fantastic work as always and, I know I speak for many when I say this, but I truly appreicate all you (and Gordon) do to make these reissues happen! I would not be honest if I didn't say I am disappointed to hear that you weren't able to get the rights to release any Jack Halloran, as I've been waiting for Christmas is a Comin' to come to CD for a long time. I'm also disappointed that it seems each year it is fewer and fewer releases. I know, I'm being greedy, but gimmee gimmee gimmee I want more more more! However, I am grateful for all you and Real Gone Music do to get these great albums out again. I will be supporting your effort by again purchasing each one of the releases, as well as promoting them on other websites I am on. Thank you Chip for your update and your dedication!! I am also especially excited about The McGuire Sisters release. Although Jasmine released many (if not all) the tracks on their "Sincerely" CD release a few years ago, the sound quality left a lot to be desired. In fact, I suspect it to be a needledrop. This is fabulous news for the 2018 season! I am looking for to the Kostelanetz collection - that should be a great one! I am a bit disappointed about the Jim Reeves release, but there's always next year. 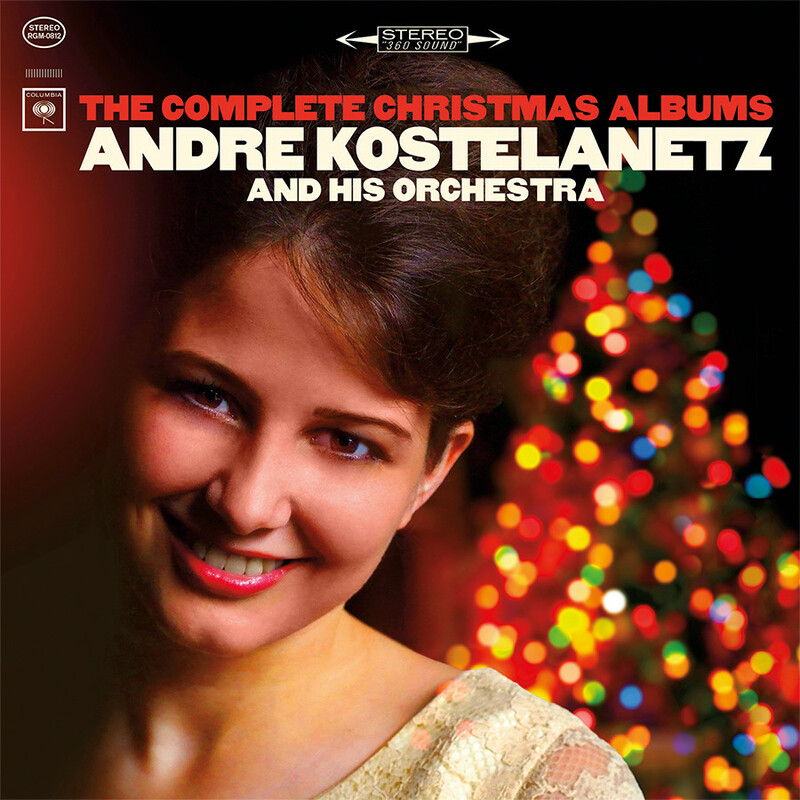 The André Kostelanetz collection will include all three of his Christmas albums: 1959's Joy To The World; 1963's Wonderland Of Christmas; 1965's Wishing You A Merry Christmas. And in addition to that, the collection will also include a rare bonus track from 1950, "White Christmas." Luckily, the John Klein release was negotiated with Sony last year; otherwise, I don't think we would have gotten it. Sony was not in a cooperative state of mind this year, as I previously mentioned. Anyway, for the Klein release, I suggested to Gordon to package his two RCA Christmas albums as a 2fer. I then asked my friend and board member (and John Klein authority! ), Steve (aka rsteven), to write the liner notes. And lastly, I collaborated with my friend and RGM colleague, Tom Pickles, to design the CD artwork. Both Steve and Tom did a great job befitting this classic 1959 RCA "Living Stereo" release. Thanks guys! And don't worry about the Jim Reeves; we'll hopefully get it next year. I'm disappointed about the Jack Halloran, too. We were ready to go with it this year. I even asked his daughter, Dawn, to write the liner notes. But no worries, because like the Jim Reeves and Leroy Anderson, we'll go after it again next year. We give the record companies no peace. Regarding the McGuire Sisters, that 2006 Jasmine CD only contained 8 of the 12 tracks from their 1958 Christmas album. And yes, our release will be light years better in quality than that release 12 years ago. And as I said to Peter earlier in this post, no worries on the Jim Reeves. One of my all-time favorite scenes from one of my all-time favorite episodes from the great classic TV series, Bonanza, is "The Crucible" from 1962. This episode guest starred Lee Marvin, who played a deranged prospector who holds Adam (Pernell Roberts) hostage and systematically tortures him. The scene that is not only my favorite from this episode, but the entire series for that matter, comes at the dramatic and climactic end of the show, when, after two weeks, Ben (Adam's Pa), and Hoss and Little Joe (his brothers) are about to give up their search for the missing Adam and head back to the Ponderosa. But then, suddenly, they spot Adam, who by this time is delirious from hunger, thirst and exhaustion, dragging Lee Marvin's dead body across the desert. The particular part of the scene that I'm referring to is when Adam suddenly realizes that it's his Pa and he begins to breakdown crying (almost like a baby), upon which Ben, his Pa, clutches his son and holds him to his breast. Keep in mind that this was a show of tough, rugged Western men, three sons and their father, that rarely showed such emotion -- especially Adam, who played the strong, quiet, eldest brother, which makes this scene all the more poignant and touching. But as anyone knows who's familiar with this classic series, tough as these boys were, they loved each other and they loved their Pa; and clearly, their Pa loved them. Such a great scene from that classic show. I loved those great western shows from the 1960's when there was some real stories and a universal message about loyalty, respect and real family values that we all could learn from and be inspired by at the time. I loved the Rifleman and The Big Valley as well with the great dynamics between father and son and the matriarchal led Barkley family. Wow, Barbara Stanwyck's character was way ahead of her time and I love the different personalities of the brothers and Audra as well. As you so well say, Chip, they just do not make them like this anymore. Everything is CGI and a lot of car chases and explosions. There is seldom a lot of character driven or a strong family story lines in these current times. I do like Yellowstone with Kevin Costner so far, although it does have a bit of an edge to it, but the family dynamics are interesting and the direction and beauty of the cinematography is fantastic. It is well worth checking out and probably the closest we will get to a sort of great modern western themed show taking place in current times. I totally agree with everything you said, Steve. Character development is such an important component to good filmmaking. And Barbara Stanwyck was indeed far ahead of her time! - from "Subways Are for Sleeping"
- from "In Harmony with Him"
That is all correct; except the two songs "Happy New Year" and "The Cactus Christmas Tree" were not singles, but rather from the girls' 1956 Coral Records LP, Children's Holiday. The McGuire sisters recorded one other Christmas track: a version of "What Child Is This? ", for the 1961 Reprise Records compilation Frank Sinatra and His Friends Want You to Have Yourself a Merry Little Christmas. Yes, I know; but we couldn't include it in the new release because it belongs to WMG (Warner Music Group). By the way, that 1961 LP is one of the rare "original compilations" (meaning all of the songs were recorded specifically for that album) in my Top 500. 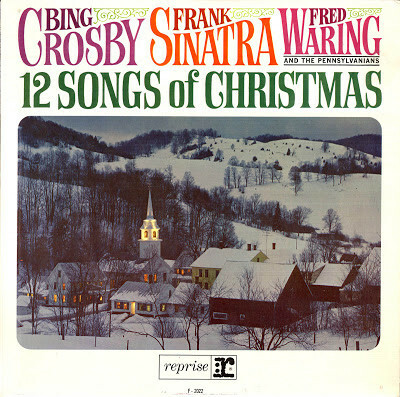 It resides in the 2nd Tier, coming in at #242; just before another "original compilation" LP, 1964's 12 Songs Of Christmas, with Bing Crosby, Frank Sinatra and Fred Waring and the Pennsylvanians. Once again Real Gone Music is knocking it out of the ballpark with their great album cover artwork for their upcoming CD releases for this holiday in November and in no small part due to your huge input and insistance that they use original album artwork, whenever that is possible. Again, let me thank you and Mr. Tom Pickles for coming up with the brilliant design for the front cover design of John Klein's A Christmas Sound Spectacular release that allows the great Santa Claus cover of the orignial album to shine brightly, while at the same time letting the buyer know that they are also getting his second splendid holiday album with this CD twofer as well. I had the honor, thanks to you Chip, of being chosen to write the liner notes for this historic release of John Klein's only two stereo Christmas albums, and of course his most revered ones as well. I am equally impressed with the great CD cover artwork for The Complete Christmas Albums from Andre Kostelanetz. Instead of a three-way split album cover that tries to include all three of his album cover pictures on one cover, we get a stellar single cover shot with a beautiful model standing in front of a gorgeous lit up Christmas tree in the background. We also get the great Columbia 360 Stereo label at the top in all its glory. Stupendous in my humble opinion. I love the original album cover artwork for The McGuire Sisters as well as I cannot get enough of these iconic album covers from the Golden Age of Christmas. However, nothing can top your fantastic and historical Norman Rockwell cover on Fred Waring's 'Twas The Night Before Christmas CD from last year that helped to inspire our John Klein CD cover for this year. The Percy Faith Music Of Christmas Expanded Edition from last year with the beautiful poinsettia cover shot is one of my all time favorites as well. Thanks again, Chip, for making these historic releases come to fruition, and especially the John Klein twofer CD that has truly been a life long dream release for many of his fans. Wow! That Andre Kostelanetz compilation cover art is PERFECT! It accurately replicates the look and feel of a vintage 1960s Columbia LP jacket as if it were brand new, without decades of wear and tear! I'm usually a stickler for original album artwork and don't typically love when a record company tries to modernize or provide an alternate visual representation of the music contained on a classic LP. But, this! This is AMAZING!!! Glad you liked the Andre Kostelanetz cover, Peter. I just want to echo everything Peter (Get2Me) said in spades about that stupendous album cover for Andre Kostelanetz's Complete Christmas Albums collection by Real Gone Music. It really is breathtakingly beautiful. Like Peter said, it has all the trappings of a vintage album cover from the 1960's and yet the artwork is so pristine and crisp it looks like the picture was taken yesterday. Chip, do we know the background for this cover shot as I have not been able to find it on any of his previous albums? Do you think it was an alternative album cover shot or do you have any idea about where they came up with this shot? I love it too and like Peter and yourself, I almost always prefer original album cover artwork, but they really nailed it on this one. Kudos all around to everybody involved in this beautiful album project. I can hardly wait to hear Maria Triana's remastering of Andre's three splendid Christmas albums as well. She always does terrific work as well! The Kostelanetz artwork was designed exclusively for this new release. Thank you, Chip. I was starting to suspect that perhaps that might be the case. I think they did a magnificent job with that album cover picture. Gee whiz, this is better artwork than almost any new modern Chrsitmas release in the past few years by the major labels. My compliments to all. Oh yes, I think the music inside is going to be pretty spectacular too! I think the artwork for most of them are great choices. However, I am disappointed on the Bonanza cover. Yes, I would agree. And if this had been my release, I would have recommended our new "inset-style" 2fer cover design that we came up with last year for the Fred Waring release and again this year for the John Klein release, whereby the *first* LP cover is given dominance on the 2fer CD jewel case artwork, and the second cover is relegated to the bottom as a thumbnail image. You are so right. Had they followed the same pattern as the others, it would have even given a small feeling of the Lorne Greene album being underneath the tree. Oh well, the most important thing is the music, and I am confident that Mike Piacentini's remastering will make both albums sound better to us than they ever had. Thanks for all of your hardwork in getting these classic Christmas albums to CD! Is there any chance of getting the Frank Sinatra, Bing Crosby, Fred Waring 12 days of Christmas and Frank Sinatra and his friends want you to have a merry Christmas? Yes Jim, those 1961 and 1964 Reprise compilations will possibly happen sometime down the line as a 2fer CD. But first, I'd like to get out the only compilation LP that's allowed to reside in the 1st Tier of my Top 500, RCA's Music To Trim Your Tree By from 1966 (album #51). 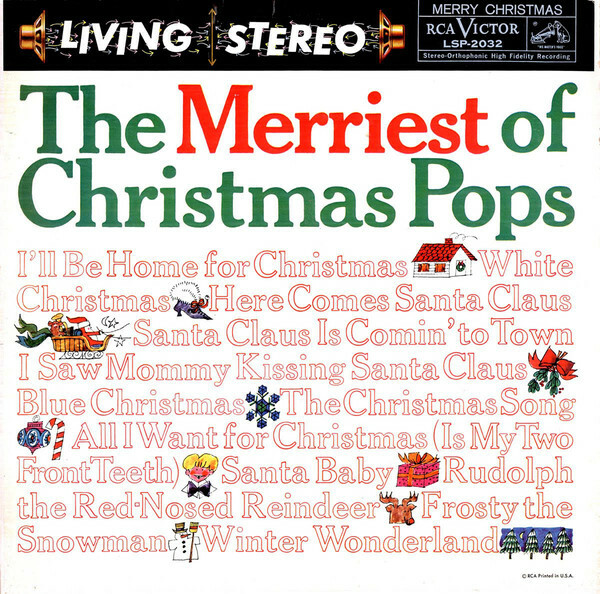 In addition to the two Reprise Records compilations, there's another 2nd Tier compilation album: RCA's "Living Stereo" release of The Merriest Of Christmas Pops from 1959 (album #233). 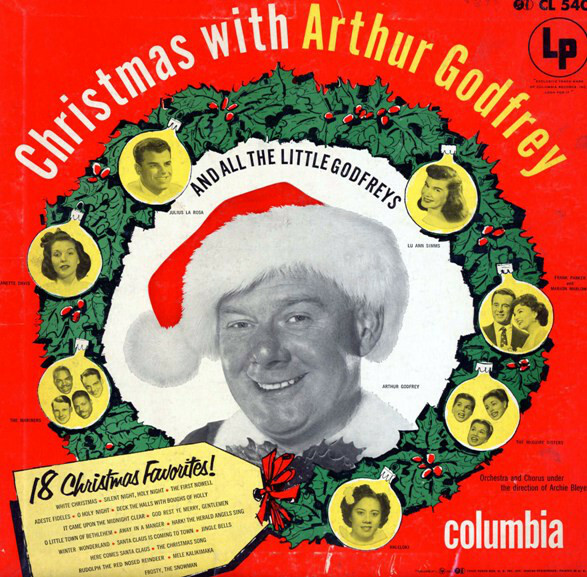 And another two compilations that I'd like to eventually get out reside in the 3rd Tier of my Top 500: Columbia's Christmas With Arthur Godfrey And All The Little Godfreys from 1953, and Capitol's Merry Christmas To You from 1957 (albums #266 and #275 respectively). By the way, that aforementioned 1953 Columbia compilation LP contained the very first Christmas song that the McGuire Sisters ever recorded, "Frosty The Snowman." Oh wow, any of those four albums would be stellar choices for reissue on CD, but I would be particularly thrilled with either or both of those first two albums. "Music To Trim Your Tree By," is just a spectacualr line-up of great singers and instrumenal artists. Any Christmas album compilation that has John Gary, Jim Reeves, and Al Hirt among its roster is got something special going for it. Pretty interesting album cover too, to say the least. I truly love those kick in the pants arrangements by Esquivel on "The Merriest Of Christmas Pops" album. 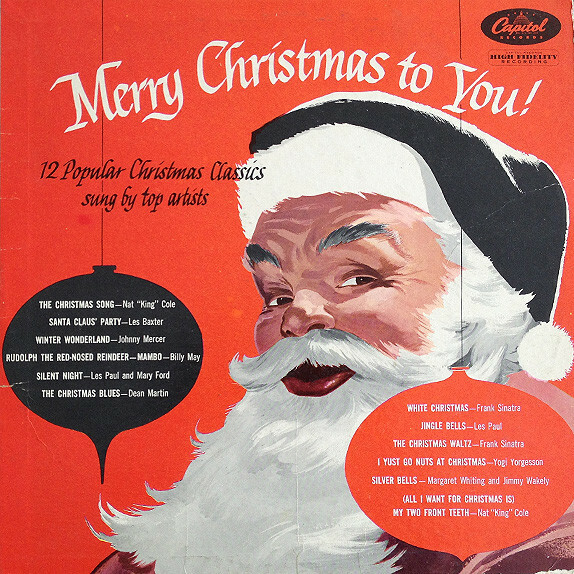 As you know, Chip, I dig the sound and album artwork of almost all of those Living Stereo Christmas albums from the 1950's into the early 1960's and this one sounds and looks spendid too. I hope those guys at the major labels are a little more cooperative next year. I still cannot figure why they got so tight with their catalogue this year, especially Sony Music, since they had been so amicable in the past. I hope this weird fixation on streaming is not responsible for the change in their attitude, but it sure seems like some other market considerations are getting their resources and attention drawn in another direction. I am hoping this was a one off, so to speak, and they get back to their ususal cooperative nature on these reissues. I hope see all of these get released on CD!!! Hopefully the record companies will be more receptive and allow these albums to be heard again on CD! 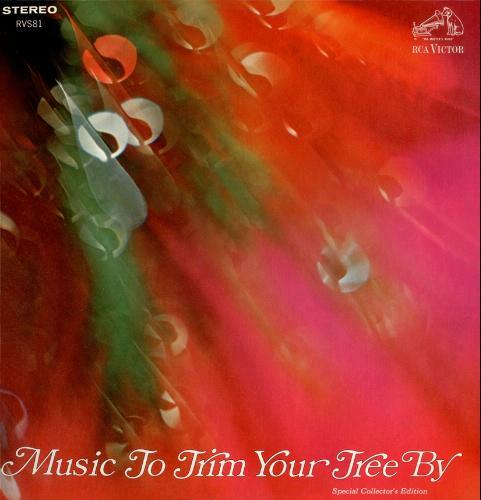 That unique and great LP cover for Music To Trim Your Tree By was RCA's way of trying to be hip in 1966 and thereby appealing to everyone -- especially the younger folks. It is truly indicative of that indelible time which both you and I grew up in: the cuckoo-groovy psychedelic '60s. I remember when my father got this album at Sanford's Furniture Store in Cleveland, Ohio (my hometown and home state before moving to New York). The LP was offered back then as a promotional item by RCA for their Stereo systems. I have the first 3 albums and would love to get Merry Christmas to You! on Vinyl. There is one on eBay for $150.00 and anotrher for $35.00 but too steep for my income. Chip - Received the new Andre Kostelanetz, John Klein, and McGuire Sisters CD's in the mail today -- and they are amazing !! The sound on the Kostelanetz and Klein CD's are spectacular !! I've been listening to both of these the last few hours and I'm blown away by the crystal clear, beautiful sound quality -- I've never heard these sound better !! And the liner notes and photos are beautiful. Exceptional work - well done on both releases ! Popped in the McGuire Sisters CD just now -- the Jasmine release I have is going in the garbage ! The great sound quality makes their harmonies sound even better !! Can't praise this release enough either !! Thanks so much for getting these new releases completed - and for all the Real Gone Christmas releases in the past ! From Andy Williams to Glen Campbell to Perry Como to Percy Faith to Robert Goulet to Ray Conniff to Mantovani etc. -- these CDs all contain the music that I grew up with as a child and loved then and still do as an adult !! And the memories that all this great Christmas music brings back.........priceless !! Chip - are you sure you're really not Santa Claus ???? I was listening to the McGuire Sisters CD last night, and it sounds like good sources were found for the mono tracks, with the exception of "The Cactus Christmas Tree" which is very harsh sounding. Unfortunately, needledrops were used on the stereo tracks, which is especially noticeable on "Ave Maria". At least it's better than nothing. However, it's depressing when I think how much musical history was lost in the UMG vault fire. Yes, a lot was lost in the 1998 Universal vault fire -- a lot more than UMG (Universal Music Group) has admitted to us, and to the public as well.